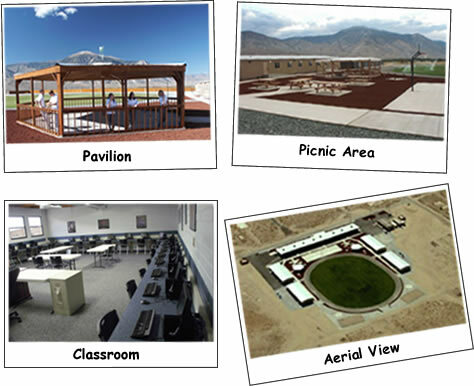 Located in Hawthorne, Nevada is a Premier Christian boarding school for youth age 13-17. Hawthorne is located in west central Nevada, 1 ½ hours southeast of Reno and 4 hours northwest of Las Vegas at the intersection of U.S. Highway 95 and State Highway 359. Situated in the high desert, Hawthorne is the gateway to Yosemite National Park and the High Sierra. Walker Lake, a popular recreation area, is only five miles from away. This Premier school provides an ideal setting for Christian youth to discover their true identity, develop a faith-based approach to life, and establish a relationship with God. The structured setting and dedicated staff provide an environment conducive to a fundamental shift in adolescents’ thinking and behavior. Staff members are carefully chosen and trained to assist teens in the cultivation of a purposeful life. This is accomplished with patience, structure, discipline, healthy activities, teaching Christ-centered values, and positive peer interaction. Each staff member strives to build a personal connection with each student and to earn their trust as a guide and a mentor. Each Sunday the youth receive the opportunity for spiritual growth through nondenominational worship services. In addition, Bible study is held during the week. Teens and staff work together to establish a value system for each student founded upon faith in Jesus Christ. Emphasis is placed on youth developing self-knowledge, individual worth, integrity, and honesty. The academic curriculum consists of an individualized, competency-based system that requires teens to demonstrate content mastery before being advanced in their courses. The academic program is designed to assist youth who struggle in traditional academic settings. The core subjects are stressed and a variety of electives are available as well. Like all of our schools, this school encourages parental involvement so that youth may obtain the maximum results from participation in the program. We invite parents to visit campus prior to or upon enrollment. Parents are also encouraged to become involved in the Premier workshops and seminars presented in convenient locations around the country and on campus.